Unquestionably, there has been a lot of talk about frivolous lawsuits, ranging from the infamous "hot coffee" case to others where people sued for their injuries sustained while breaking into a house. 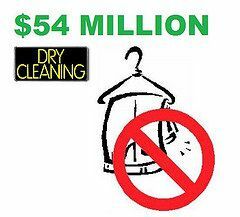 Oh, and yes, that ridiculous lawsuit where a judge sued a local dry cleaner for over $50 million for purportedly messing up, or losing his clothes. And there is no doubt that they should be done away with. But almost no attention has been paid to its evil counterpart, which unnecessarily ratchets up litigation costs: frivolous defenses. A few years back, the New York Law Journal published a decision from Justice David Schmidt in Simone v. Leibherr Cranes, Inc. which did not, at first glance, appear terribly significant: it held invalid a defendant's refusal to answer interrogatories (written questions that must be answered under oath) on technical and procedural grounds, and compelled the defendant to respond meaningfully to the interrogatories. But reading between the lines of the decision yields a valuable lesson about this Judge's (and presumably others') thought process. In this case, which apparently arose out of an accident involving the malfunction of a crane, the defendants testified that they had certain manuals and procedures that were required to be followed regarding the operation of the crane. None of these materials were furnished prior to the deposition, however. In lieu of deposing these witnesses again, one of the other defendants drafted a series of questions regarding these manuals and procedures that they wanted this defendant to answer under oath. Seems fairly reasonable, doesn't it? Well, rather than having their client answer the questions, the defendants' attorneys repeatedly objected, forcing the other party to seek the Court's intervention - not once, but three times. I understand raising the objections one time, on the chance that the Court will side with you. But after losing the first time, why did they escalate a fight they should have known they wouldn't win (and thereby jacking up their client's legal bills as well) two more times? Post a Comment to "Frivolous Defenses: Frivolous Lawsuits' Lesser Known Evil Kin"